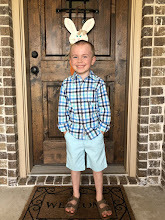 Back in August, we started a new adventure, a homeschool preschool curriculum. The curriculum we are doing is "Letter of the Week" (except we are doing a letter every two weeks). It’s a year-long program full of a variety of educational activities based on each letter of the alphabet.We should finish up at the end of the summer.The lessons involve letter and number recognition, counting, basic math and spelling, pre-writing practice, sorting, graphing, fine-motor skills, crafting, games, and more.It’s been a really great experience so far. Parker is really enjoying it and learned so much. Per the recommendation of the curriculum, we covered the five vowels first and then started back at the Letter B. Once Parker knew all of the vowels, it would help us better with word building and recognition. 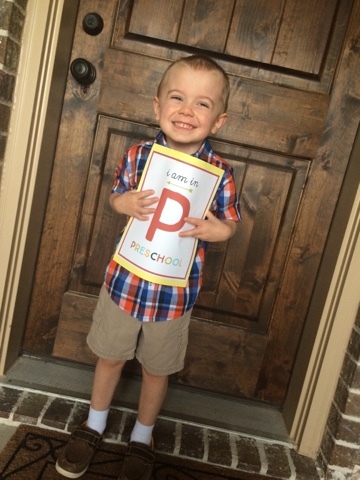 We started on Monday, August 31st - Parker was 3 1/2 years old on his first day of homeschool preschool. Here are LOTS of pictures of some of our activities from the vowels.